Highland Area Chamber of Commerce - HCOC IE 66ers Game Night! HCOC IE 66ers Game Night! 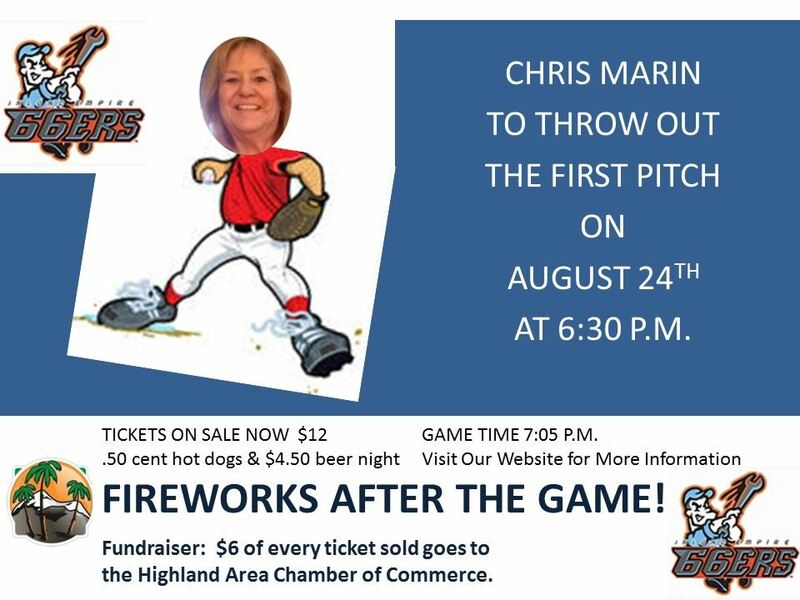 Join us as Chris Marin will throw out the first pitch for the game that evening! Arrive by 6:30. Game time 7:05 p.m. Fireworks after the game.